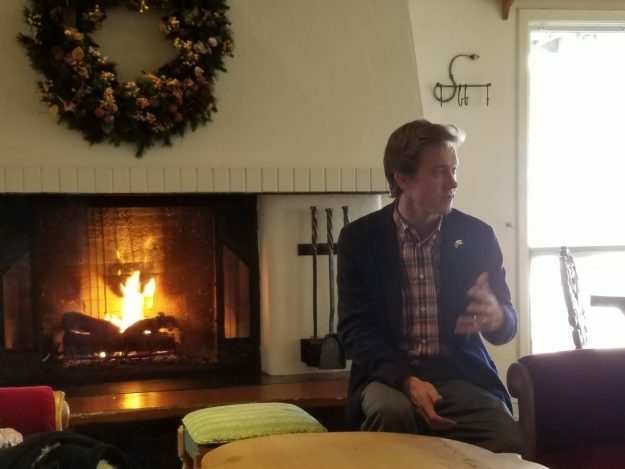 Former state senator and now Colorado gubernatorial candidate Mike Johnston speaking to supporters at his family’s Christiana Lodge in Vail on Jan. 19. This statement will get me in trouble with other restaurants I frequent, but Maya serves some of the best margaritas in the Vail Valley. And this statement will get me in trouble with some of the hordes of other Dems running for governor, but Vail’s own Mike Johnston is one of the best. Notice how I hedged there? “One of the best” means I can still head to Sweet Basil in Vail for one of their legendary margs, and I can still give kudos to Donna Lynne, Jared Polis and Cary Kennedy as they all jockey for the Democratic nomination in the 2018 gubernatorial campaign. 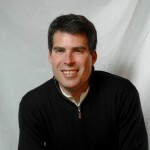 But let me be clear, Johnston – a former state senator and soccer star at Vail Mountain School whom I covered as the Vail Daily sports editor waaaay back in the day – is currently my frontrunner as a relatively youthful, progressive voice the Dems so desperately need these days. Come meet him and enjoy one of those aforementioned Maya margs for just $5 at 4:30 p.m., Thursday in the Westin Riverfront Resort and Spa in Avon. You know you’re looking for an excuse to cut out early from work (event runs till 6:30) and celebrate the last day of summer. What better way than to enjoy some $2 beers, $3 tacos and, oh yeah, some of the Vail Valley’s best guac, as well? Check out the details on Johnston’s Facebook page by clicking here, and come hear what the Obama administration education advisor has planned for Colorado. His TABOR explanation alone is worth making the time. And if I know Johnston, which I think I do fairly well by now, the conversation will not be limited to politics. Expect things to verge into sports after the Denver Broncos so soundly defeated America’s (Former) Team, the Dallas Cowboys on Sunday. That was a segue, if you didn’t notice. Interesting how well the Broncos handled the rain/lightning delay on Sunday while the playoff-chasing Colorado Rockies absolutely collapsed after the more than hour-long delay. The Broncos scored another 35 points after the break, while the Rocks were shut out and coughed up four runs and the game. All the Rocktober remembrances from 2007 were nice over the weekend, but that team, which finished the season winning 21 of 22, would have found a way to win Sunday’s game. Meanwhile, the Broncos look to be for real, running the ball and playing D like it’s 2015. Despite the Rockies disappointing failure to sweep the woeful Padres on Sunday, Colorado did take two of three and continues to lead in the wildcard chase – good experience for a bevy of young pitchers who should give us great hope for the future. And the Broncos won and won decisively, going 2-0 on the season, so it was a great weekend in Colorado all around. And Saturday saw the debut of an event that hopefully becomes an annual tradition at Beaver Creek – the Hike to the Mic event featuring one of my bucket list performers, Elvis Costello, and Nederland’s own Elephant Revival. My first time for both bands, and I was not disappointed. Fantastic venue on the flat open space in front of the mid-mountain Spruce Saddle restaurant and glorious fall weather. The bartenders were slinging some fine margaritas of their own, and both bands truly delivered in an afternoon show that electrified a good-sized crowd. Deer were spotted on the ski run above the stage, and we saw a fairly large black bear saunter across the slopes on our way down. Really good energy, a great event overall, and hopefully a fall fixture for years to come. Kudos to the Beaver Creek Resort Company.